Don't you love exploring a waterfall that is nestled amidst a dense jungle? Talakona Waterfall in Chittoor district is your perfect getaway then. 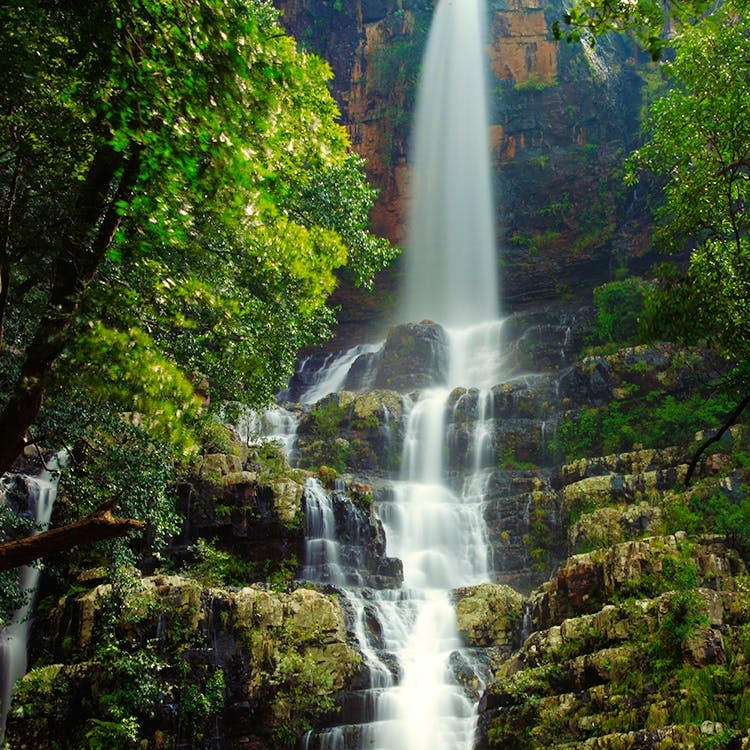 Located inside Sri Venkateswara National Park near Tirupathi, Talakona Waterfall — a 270-feet high waterfall is the highest in Andhra Pradesh. Beckoning both thrill seekers and families, this national park (Situated inside Talakona Forest) abounds in rare flora and fauna. Brace yourself to meet Mouse Deer, Golden Gecko, Porcupine, Chital, and Sambar, along with rare species of mushroom and butterflies. Photographers and nature enthusiasts can run wild in the woods trying to capture the greens at the best. Let’s jump to the main point of travel now — the waterfall. A 2 km hike in the woods takes you to the waterfall but much before you reach, you’ll be welcomed by the sound of water, scampering monkeys, gusts of breeze. While the view keeps getting better, you won’t be prepared to witness the magnanimity of the waterfall which is hidden in the forest. With no mobile connectivity, you’ll truly unplug from the external world and unwind in the lap of nature. The water is cold (even in Summer) and the rocks are slippery so, exercise caution if you’re dipping your feet in the water. But we recommend enjoying the sight from a distance and take plenty of pictures to up your Instagram game. Traveling with your fam or squad? Then camping is a must. Talakona Forest Department organises a bunch of activities that include camping, walking trails but if you’re looking for a longer stay, you’d love the log huts here. The forest guest house handles this, and there are four log huts on the property that cost INR 1,250-1,500 for two, per night. Looking for a dormitory? Then grab one at INR 5,000 for 10 members.